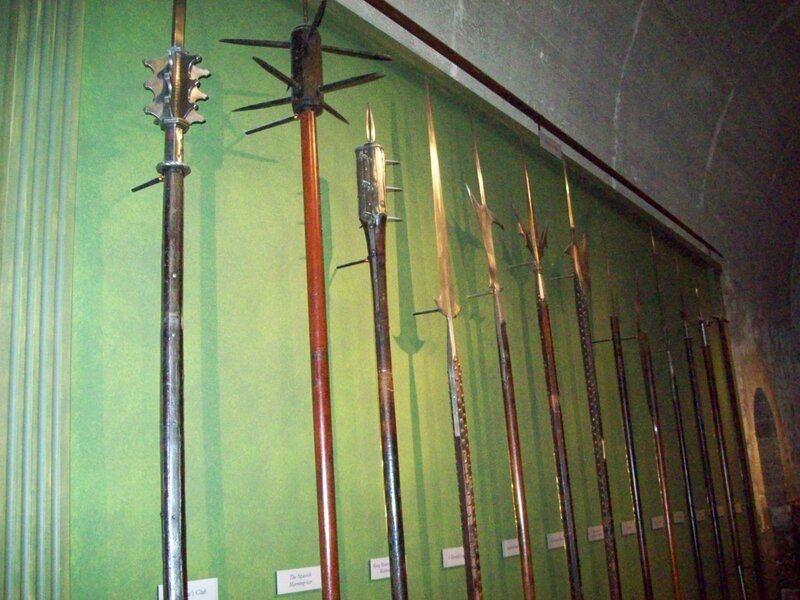 Here are a few pictures from the armory in the White Tower. There were SO many different examples of weapons from different time periods. 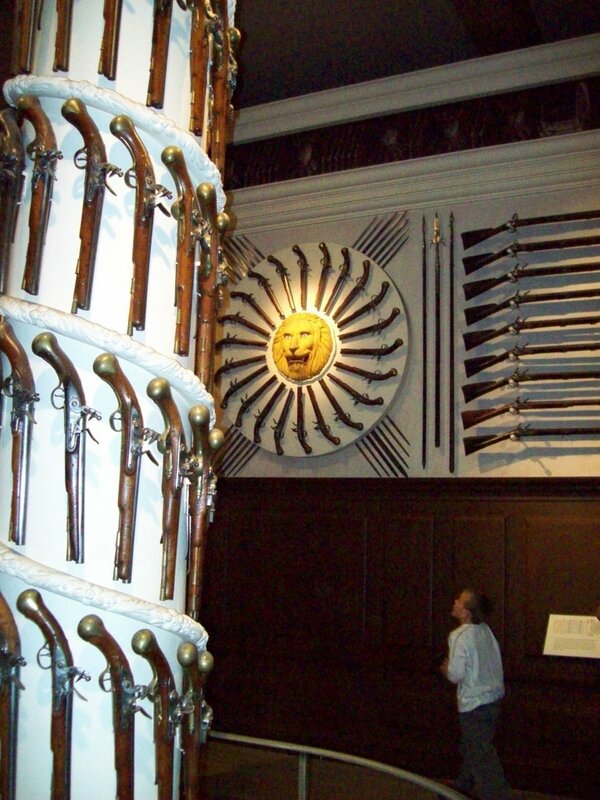 This first picture is an example of some pistols and rifles on display. The second picture shows some cats-of-nine-tails/flails & some spears.